In the wake of prohibition and the success of liquor-laced stories like the Thin Man, author Georgiana Ann Craig (aka Craig Rice) created John J Malone, a Chicago Attorney who was at his best when he was drunk and for that reason, he was usually at his best. Malone wasn’t Perry Mason. He didn’t get into court. His solved his cases acting as an investigator. The Malone characters appeared in 14 books, 2 movies, and even a television series, and of course the character did well on radio. Under the titles of Murder and Mr. Malone (1st Season), and The Amazing Mr. Malone thereafter, the character enjoyed great success for three seasons over ABC from 1947-50 and then had an eight week Summer run on NBC in 1951, and then a 52-week syndicated run in Australian. Three different actors played Malone in the US and another in Australia. The radio series veered quiet a bit from the books. Malone’s drinking was no more than any other radio detective and gone too were his literary co-alcoholics Jack and Helene Justus. While the book featured the somewhat dimwitted Von Flanagan as his police foil, the radio version gave Malone competent police officers who on occasion got the case right before him. The series featured some tongue and cheek poking fun at itself and the typical conventions of the radio detective show. All in all, Mr. Malone over the radio remains an enjoyable shows that people can enjoy whether they’re fans of the book or not and its a shame that more of the more of the more than 200 Malone radio episodes aren’t available. 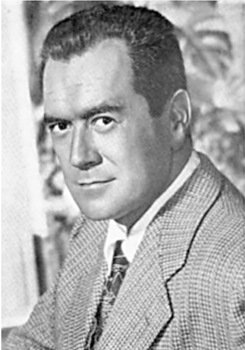 Frank Lovejoy (1912-62) enjoyed one great hit starring role in his career as reporter with a heart Randy Stone in Nightbeat. The program a fan favorite for its mixture of suspense, mystery, and true human drama. However, Lovejoy’s contributions go far beyond that. He began as an actor on programs such as Jungle Jim and The ColumbiaWorkshop and was the first announcer on This is Your FBI. Lovejoy continued to provide solid dramatic support for the latter days of radio’s golden age, frequently lending his talents to Suspense from 1957-59. Throughout his career, Lovejoy did well through his ability to create believable characters whether it was a heavy on Box 13, a cop after typical mugs in an episode of The Damon Runyan Theater, or one of Luigi Bosco’s typical comic foils in Life with Luigi. While Lovejoy never had a huge success with his television programs, he remains a beloved figure in the annals of radio. Gene Raymond (1908-98): Veteran screen and stage actor who appeared with actors such as Joan Crawford, Carole Lombard, and W.C. Fields. 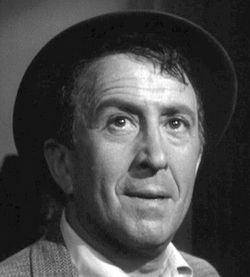 George Petrie (1912-97): Radio, television, and screen actor who had staring roles in detective radio dramas The Falcon, Call the Police, and The Amazing Mr. Malone. 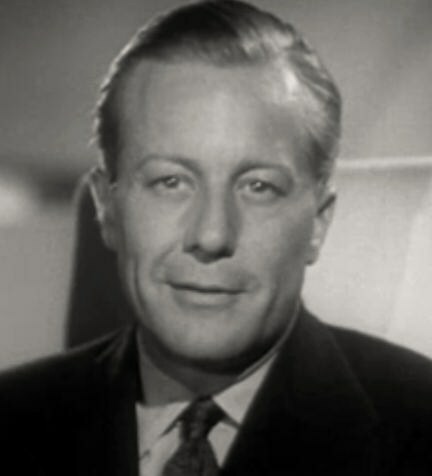 He also became a regular on TV soaps such as Search for Tomorrow and The Edge of Night. His last TV role was a role on the 1990s sitcom Mad About You. New episodes posted every Tuesday.